Fall is here! Most of us have hit that strange level of panic that comes with realizing you have got way too many clothes you can only wear when it’s warm. It’s all right, it happens to all of us. I am here to give some ideas what is in for this fall. 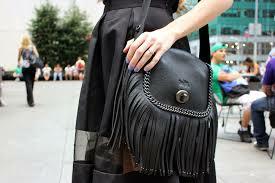 Fringe swings into fall fashion. 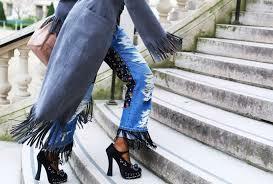 Fringe conjures images of Western heroes as well as iconic looks from the ’20s,’60s and ’70s, but fringe definitely has modern appeal this season.The safest and easiest way to wear fringe is to pick just one item with fringe to wear. Say a handbag or boots, and keep the rest of your look simple.Fringe is a perfect purchase for fall and will have you well on your way to next spring’s romantic and bohemian trends. It is fall and we can’t wait to get our hands on some cozy knits, over-the-knee boots,eternity scarves and everything else that makes fall fashion so fun and comfy. what you are saying and the best way wherein you are saying it.